A place for film fans to discover what goes on behind the scenes. March 31st 1993 will forever remain one of the saddest days in modern film history. 52 days into a 60 day shoot, Brandon Lee, son of the late martial arts expert Bruce Lee, was tragically shot and killed during the filming of the supernatural action film, The Crow. 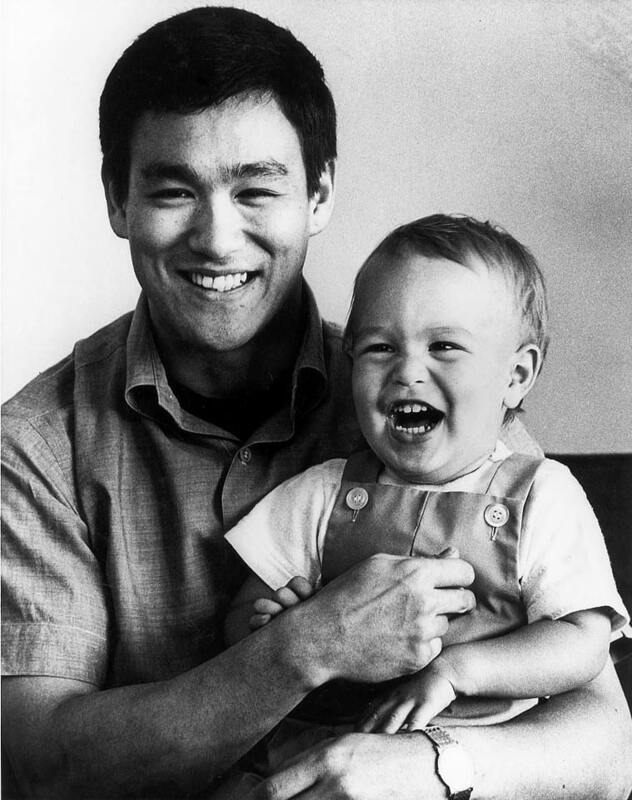 As did his father (Enter the Dragon 1973), Lee never lived to see the release of his most successful work. However, also like his father, mystery and suspicion surrounding the actor’s death will forever immortalise Brandon Lee in movie folklore. Young Brandon Lee with father Bruce. Although admitting the case was still under investigation, Wilmington Police announced that they were treating the incident as an accident, yet many fans suspected foul play. After suspicion surrounding the cause of Bruce’s death from an apparent reaction to painkillers in 1973, many were sceptical about the causality of Brandon’s fatal last scene. The unfinished 1973 martial arts film Game of Death, starring Bruce Lee, provides even more spooky coincidences that further fuelled the fire of many conspiracy theorists, as Lee’s character is shot in similar circumstances to his real life son, although he does return to take revenge. So how did this tragic event really occur? In the scene, Lee is supposed to have been shot by thugs as he walks into his apartment to find his girlfriend being raped. It is believed that due to increasing time restraints, the decision was made to use dummy cartridges in the prop weaponry, which appear functional, yet contain no gun-powder. The empties would be made from real cartridges, a responsibility handed to effects technician Bruce Merlin. To do this, Merlin, assisted by prop master Daniel Kuttner, would dismantle the live cartridges by removing the bullets, emptying all contained gun-powder, detonating the primer (a device for igniting the powder charge in a modern cartridge of centerfire ammunition) and then re-assembling the cartridge. During preparation, Merlin and Kuttner tested the gun that would be used in scene by using a cartridge containing only a primer and a bullet with no gun-powder, which caused the bullet to become lodged into the forcing cone of the gun. When it came to shooting the scene, the live bullet remained in the barrel, which was then propelled out by the explosion from a blank cartridge, fatally injuring Lee in the process, as the cameras rolled. Lee was pronounced dead at 1.04pm. After being buried next to his father in Washington, footage capturing Lee’s death was destroyed before ever being developed. Released in 1994, The Crow became a box office smash and is now regarded as a cult classic. This entry was posted in Action, Andy, Drama, Features, Period and Historical, Science Fiction, Thriller. Bookmark the permalink.